Well, more appropriately, I think I am sick from chocolate. Well, I thought it would be a good idea to sample the truffles I made tonight. Yay. They were good, but I think they put me over the top. I am in a major cocoa-coma. Hopefully I snap out of it. You know, in time to eat more chocolate. you won’t need to eat many to satisfy your sweet tooth! So indulgent and rich, yet perfectly sized and tasty, so irresistible. These 4 ingredient, Homemade Baileys Truffles are the perfect gift for family or friends....or the yummiest little sneaky late night treat! Place the chocolate chips in a heatproof bowl over a saucepan half-filled with simmering water. Stir with a wire whisk until chocolate melts and the mixture is smooth. Stir in the Baileys,heavy cream and vanilla. Place in the fridge for 1 hours to chill. 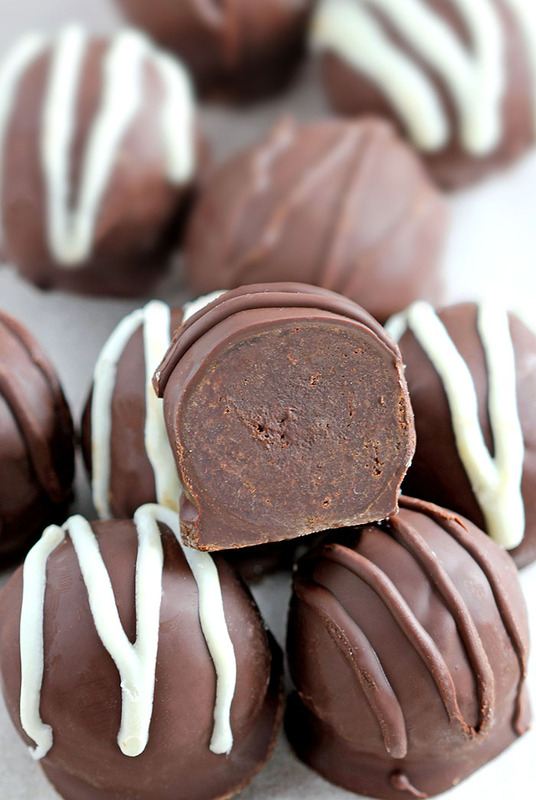 Use a spoon to scoop out the chocolate baileys mixture, and roll into truffles of your desired size. Place on baking paper. Loosely cover and refrigerate for 15-20 minutes or until firm again. 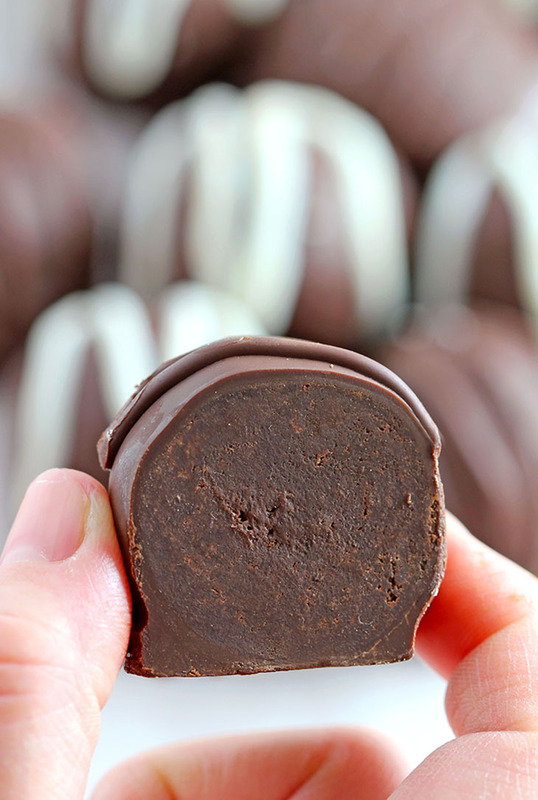 Dip the truffles into the chocolate, shake off extra and place on parchment paper. Once set, in a small bowl melt white chocolate candy coating. These look so rich and decadent! Yum!